Our staffing and consulting services supply efficient IT resources quickly. Our staff augmentation unit works infallibly to apprehend your unique staffing requirements profoundly. This helps us in screening process to find an accurate resource. Our team initially mines the internal database, and if they do not find exact matching resource then they utilize the industry contacts to find a best-qualified candidate for the job position. We have a quality focused staffing process that has helped us to cater the recruitment needs of many clients globally. We always ensure that proper candidate is selected, which we do by thorough screening of candidates before introducing to the client. 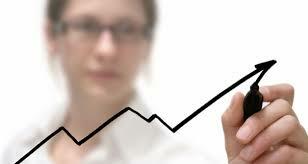 Our staffing business consulting services take care of your complete staffing process. We have already placed the IT resources in a lot of nations, which has made us experienced enough to cater the recruitment needs in any part of the world.